Control your heat level throughout the day! This U.S. Army Full Zip Fleece Sweatshirt takes the chills away in moderately cool temperatures. Or it can become a potent way to add even more heat, layered under a cold-weather jacket or coat. Easy to take off once the day warms up, so you never overheat, either. 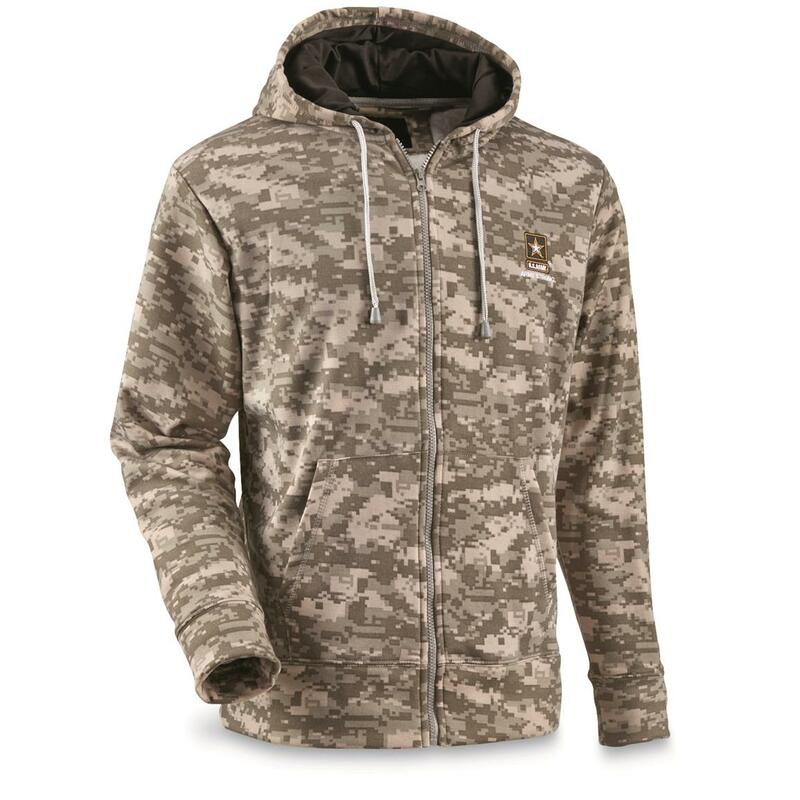 Quiet polyester construction holds on to heat even when wet, making these military-style Sweatshirts perfect for camping, hiking, hunting and other outdoor adventures far from home. 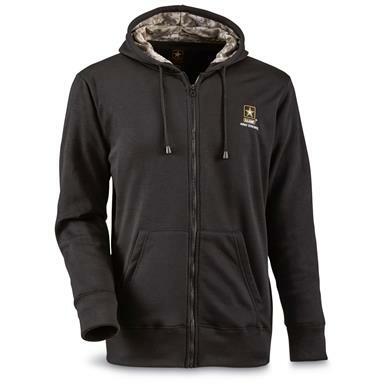 U.S. Army Full Zip Fleece Tactical Sweatshirt is rated 4.6 out of 5 by 47. Rated 5 out of 5 by Michael from Great Hoodies! This was my third order of these. Everybody loved them. Nice and warm, great value and price. Rated 5 out of 5 by CHECKMATE from Not only a great price Well Made. Very nice to wear and keep warm on those chilly days. Rated 5 out of 5 by Nam Jam from Great Price Great price and my daughter - in - law loves these sweatshirts. I've bought there 4 so far. Rated 5 out of 5 by Michael from Great Hoodie! I had purchased these before and little has changed. Still a great chill-buster. Rated 5 out of 5 by pitbull from a bargain well made, good fit (I normally wear a large and this shirt easily fits over my under amour shirts), comfortable. it isn't really thick but wasn't advertised to be. Rated 5 out of 5 by Dick257 from Very Good Deal I purchased one last year and my brother liked it so much that I gave it to him. This one I will definitely keep for myself. Very comfortable and just the right weight for cool weather. Rated 5 out of 5 by Buzz from Perfect This is just what I wanted, well made also! Rated 5 out of 5 by Sonny from Amazing . They are as described on the web page . They are soft , comfortable & snuggly . They are worth considerably more than the price . Great anywhere . Christmas gifts? ?